← Dapper Birthday with my Mini MISTI! My Sweet Petunia and Chameleon are having a giveaway! Over the next three Fridays, there will be posts on the Chameleon blog and on both team’s designers blogs, and you’ll have the chance to win a MISTI (your choice of a mini or an original) and a 5 marker Chameleon pen set (your choice of color family!). See this week’s participants below. I used my Mini MISTI and stamped the frog from Love You Lots – a new Stampin’ Up! hostest set. 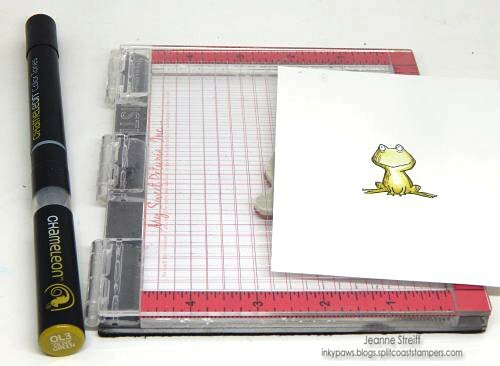 Make sure and keep the frog stamp in the MISTI so can restamp stamp again after coloring. Color frog with Olive Green marker. Cut out with scissors. 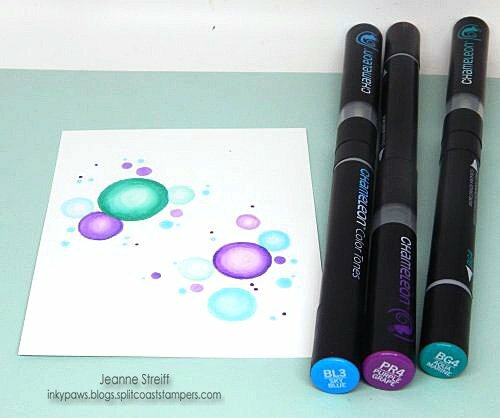 Create a background by making random circles with Aquamarine, Sky Blue and Purple Grape markers. Stamp the sentiment and assemble card. Add a black doodled border and some accents to the circles with a white gel pen. Check out these blogs today and then check back for an new updated list next Friday and the Friday after! 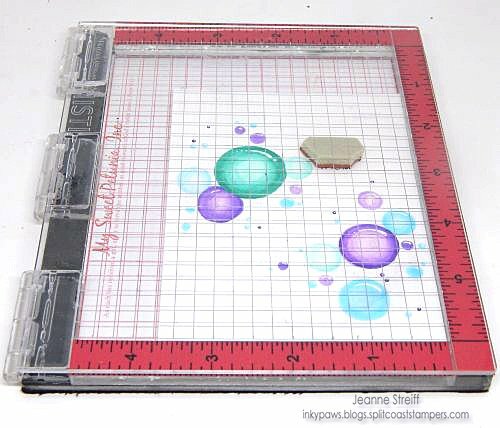 This entry was posted in All Occasion, Inks, Memento, MISTI Tool, Stampin' Up!, Stampin' Up!, Stamps, Tutorials. Bookmark the permalink. 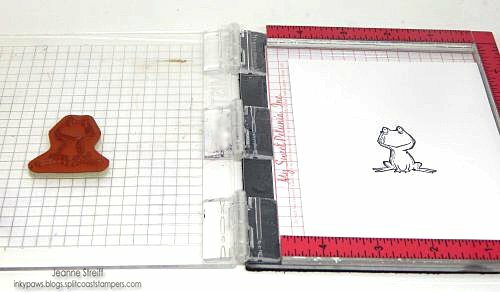 The Misti is the most incredible stamping tool invented. Your card is super sweet, I love it. So adorable!! I don’t think I own a frog stamp, this is adorable. I adore that poor cute little lonely frog. Love the card and that tool is awesome, I totally need one!!! Your little guy is super cute! I’ve never used chameleon pens before, they look like loads of fun to play with.. love those bubbles! I totally love this! Just bought one set of these markers to try! This is so adorable Jeanne! I’d love to have a mini MISTI! what an adorable card! you are so talented Jeanne! OMG! This is such a fun card! Winning a MISTI would give e back the ability to stamp! I lost the use of two fingers and my thumb on my dominant hand in 2013 and can’t stamp straight for the life of me! THanks for the chance to have a dream come true! Love the frog and the way the markers work is amazing. Need to look into getting some. Thanks for the tutorial. Wow!! Beautiful coloring on the bubbles!! 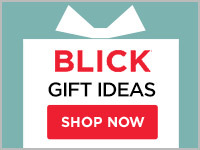 I would definitely love to win the Chameleon markers and MISTI! Been eyeing them for a while! Such pretty bubbles!! Love the coloring. My goodness. I would love to have a Mini Misti. Thank you for the opportunity to participate. Love this card, especially the colors, thanks for sharing info on these markers. What an adorable frog. Thanks for sharing. Your use of the MISTI and the Chameleon pens is fantastic. The frog card is so adorable. Thank you. Love your very colorful card. Just places a SU order today and was going to order the cute frog until I saw was for hostess only. i absolutely adore your frog and bubbles Jeanne. I am a Copic user but am intrigued by the Chameleons. Cute froggy card! The pens are awesome! Love that darling card! Fun frog and great colors! This is a croaking cute card (say that five times faster!)! Love the vibrant colours! Very cute card…love the colors! The depth you created on those bubbles is fabulous! And they’re so fun floating around that frog! Such an adorable card! I love my MISTI and these pens look fabulous! I love frogs! This is a cute card. Too cute. Love the colors you used. Such a great card! Love the pens, and have been looking at getting a Misti for a while, still saving! Very cute card! I don’t have a Misti and I think I need one! Oh wow! Love your circled background! This frog is seriously too cute! Love the colour of those bubbles! So cute with this adorable frog and all the colorful circles. Nice diagonal placement of bubbles. So cute! Love that darling frog & the great card design! Love the colors. Great coloring! I really liked the circle idea. I wish there was a video Demonstration or instructions on how you created them. So cute, love how the pens work too!! Wonderful card! 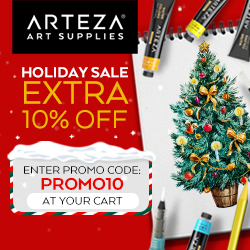 It’s great to see products used in such a creative way. Already have the stamp set, so now just need the Mini Misti and the Chameleons Pens. Would love the chance to win both. This card is so cute! I love the bubbles. I loved the color choices. Thank you for sharing! 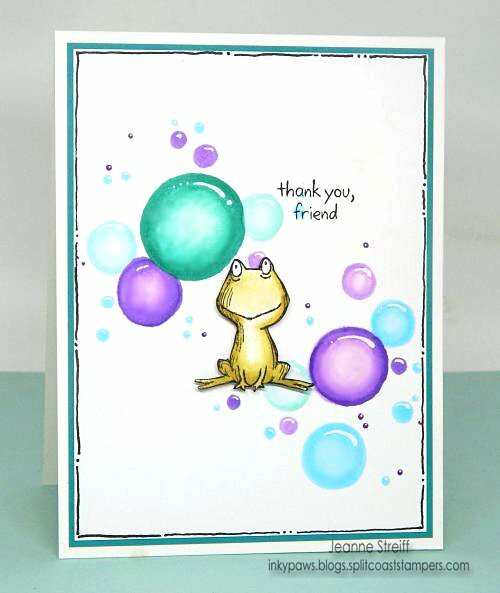 Love the frog , the card is adorable especially the bubbles! Thank you for the tutorial. Your frog is super cute, love the bright colors. Such a cute card! I love the circles. The Chameleon Pens make them look like bubbles. I’d love to win them. What a cute card! Nice job, and thanks for sharing with us and for taking part in this exciting hop and giveaway! Those bubbles are great – what an adorable card. I really really like the colors you used together. Darling card. Love the bubbles you created. Well done! Adorable, I love the coloring on the bubbles! cute frog! I love your colors and your cute image. I love my Misti, now to get those pens! That frog is soooooo adorable. Wow….fabulous bubbles. Love the froggy, too!